[Jang Keun Suk’s reassuring supporters! 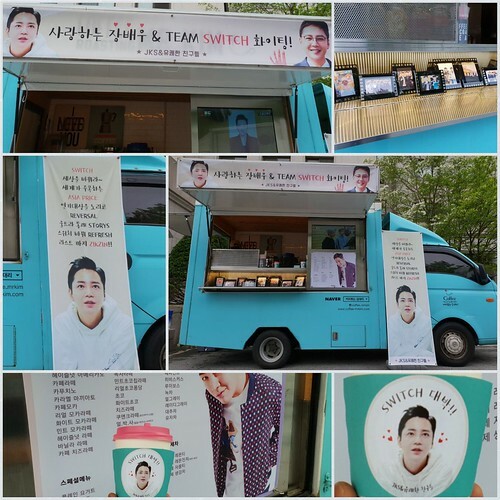 Eels’ Switch support event] From early this morning, coffee truck was supported by ‘JKS and pleasant fiends’! Our beloved ♡ Actor Jang~ Fighting till the end!! [장근석의 든든한 빽! 장어들의 스위치 응원 이벤트] 오늘 아침일찍부터 ‘JKSとゆかいな仲間たち(JKS와 유쾌한 동료들)’에서 커피차를 서포트하였습니다! [Jang Keun Suk’s reassuring supporters! 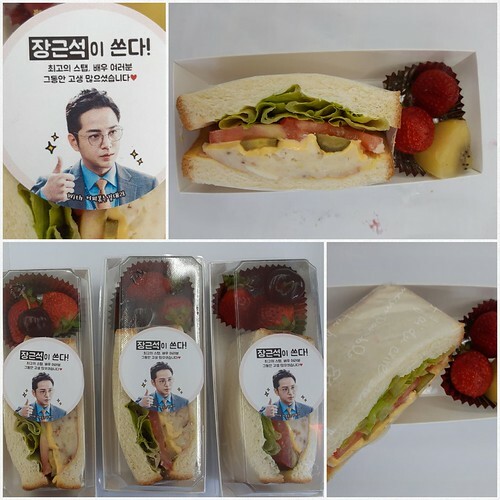 Eels’ Switch support event] For today’s brunch, 100 sandwiches and 7 sandwich lunch boxes were supported by ‘Coffee Roasting Kim Deli’! Is the coffee truck owner his eel, too? We want to thank the coffee truck owner here. Actor Jang and filming crew, please keep working hard till the end! [장근석의 든든한 빽! 장어들의 스위치 응원 이벤트] 오늘 brunch는 ‘커피볶는 김대리’에서 샌드위치 100개와 샌드위치 도시락 7개를 서포트하였습니다. 커피차 사장님께 감사드리며 장배우님과 촬영 스텝분들 마지막까지 힘내세요!